Mahesh and Sreenu Vaitla are teaming up again for their next film ‘Aagadu’. The muhurat of the movie was held recently and the movie will go on floors from December this year. Veteran actor Rajendra Prasad has agreed to play the role of Mahesh’s father in ‘Aagadu’. 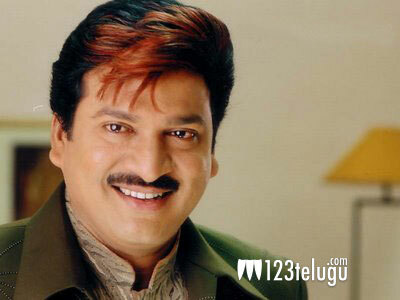 This will be the first time for Rajendra Prasad to work with Mahesh and Sreenu Vaitla. Father sentiment has worked big time in their earlier film ‘Dookudu’. Sreenu Vaitla is leaving no stone unturned to make this movie a bigger hit than ‘Dookudu’ and has written the story with good mass elements and hero and heroine characters are expected to have a mass touch. Tamannah is the heroine of the film and SS Thaman is composing the music. Ram Achanta, Gopi Achanta and Anil Sunkara are jointly producing this movie on ’14 Reels Entertainement’ banner.